Goulston & Storrs today welcomed corporate lawyer Michael A. Hickey as a Director in its Boston office. 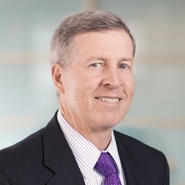 In addition to bolstering the firm’s Corporate Group by continuing to serve clients in the software, medical device, biotech and e-commerce industries, Mike will also work collaboratively with lawyers in Goulston & Storrs’ Capital Markets, Mergers & Acquisitions and Emerging Technologies & Venture Capital groups. Mike was most recently a partner at Am Law 20 firm K&L Gates, where he served as administrative partner for that firm’s Boston office earlier in his tenure. The addition of Mike to the firm is just the latest in Goulston & Storrs’ steady stream of lateral acquisitions from firms across the top Am Law ranks, following new directors and associates joining in 2014 from Fried Frank, Skadden, Ballard Spahr and Alston & Bird. Similar to Mike, many of the directors joining Goulston & Storrs from these firms served in a management capacity during their tenure. Mike brings more than two decades of experience as an attorney and Certified Public Accountant representing mature and emerging-growth companies. He advises on matters pertaining to financing, corporate, securities and tax law. Mike also counsels and advises Boards of Directors, corporate officers, venture funds and individual investors on various legal and business issues. Prior to entering into private law practice, Mike worked for one of the four largest international accounting firms in both its audit and tax groups. He also worked in the finance and compliance areas for an international technology company, spending a portion of his time living and working in Europe. Mike continues to hold his professional certification as a Certified Public Accountant in the Commonwealth of Massachusetts. Mike received his J.D. from Boston College Law School, and his undergraduate degree in Accounting from the University of Notre Dame. He is a member of the Boston Bar Association, American Institute of Certified Public Accountants and Massachusetts Institute of Certified Public Accountants. He is admitted to the bar in Massachusetts, the Court of Appeals for the First Circuit, and the U.S. District Court for the District of Massachusetts. He serves as Treasurer and as a member of the Board of Directors and the Executive Committee of MassMEDIC.